Live Review of ClickFunnels, Is it Worth the Hype? Reviews Live Review of ClickFunnels, Is it Worth the Hype? Since being online, I have to learn about HTML, CSS, and PHP over the years. I am not an expert coder but I have learned to understand it. Ever since then I had a team to manage my creatives. I have also used multiple designers and even ripping landing pages (cough) to get pre pages setup. Sometimes you just want to use proven layouts that have been working in the past instead of testing and recreating the wheel. The other week, I posted about how I compared ClickFunnels and Leadpages style of acquiring a customer. Today, I want to discuss and review on how I use it and its flaws. There are a lot of pro for this piece of landing page software. It definitely is an easy web builder with fixed layouts. It did take me some time to get used to since I am the type of person who just digs into the platform. There are 3 sections to the template, a cyan green section, blue, and orange. Each has its attributes. If you know HTML, think about it like this: the cyan green is your full table, while the blue section is your table row, and the orange is the table cell. If you do not know HTML then the cyan green is the main row where all the content is being put, the blue is the inner row for placement of the content, and the orange is the main content. … hope I explained it right. If not, there is a video above I added above. Now, I do not use ClickFunnels for taking in transactions or just to capture leads and taking advantage of their servers from Amazon. I use it as I appreciate the ease of using proven landing pages for my marketing efforts. I just have to change the content and integrate. Integrations: It is easy to integrate email autoresponders into ClickFunnels. One really awesome system they take advantage of is Zapier, a system that handles requests. There are some autoresponders that ClickFunnel does not auto integrate with and that’s where Zapier comes in. Custom Domain: I use a custom domain so the consumers does not feel like they are leaving the website. Auto Mobile Optimized: All designs and pages are already optimized for tablets and mobile devices. You just have to add your content and that’s it. It will resize images and shift content based on the device your users are on. Actionetics: Though I did not use it thoroughly, it does help with scoring your users. I basically use it to see how my traffic quality is. It is pretty cool to see that you can base the quality of a traffic source from the leads you get. Their back-end system actually scores users based on their email address. Community Support: There is a Facebook Group that is active, literally active. You can post a question and someone will answer. It isn’t the direct support but the community goes in and helps you with your requests or complaints. Restore: If you decide you do not like the previous design you created, you can always revert it back to any changes you have done in the past. Marketplace: Marketplace allows you to hire designers and even buy pre-made templates that others have created for their products or funnels. I haven’t used a designer from there or bought a template. Having access to a WordPress style section is awesome for the future. 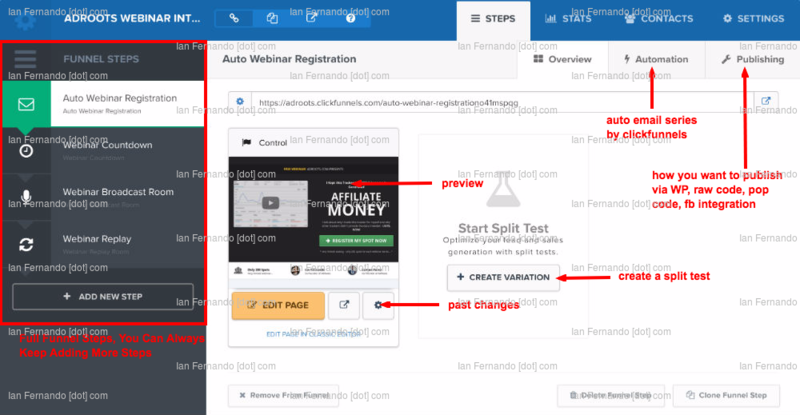 Split Testing: Easily rotate your landing page among each other and it will provide you with a score, as well as statistics on which has been performing better with your traffic. 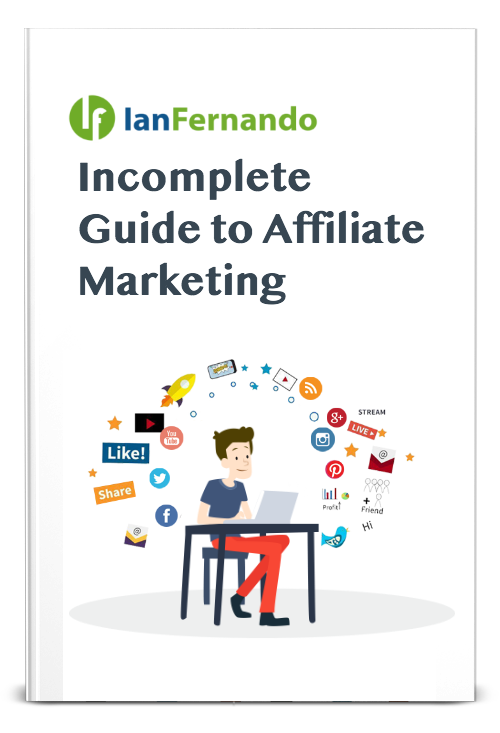 All in One: I have not been able to use all of the functions such as the membership, but it is a lead magnet, webinar replay, survey system, pre-sell page creation, sales page platform, order platform, upsell/downsell management. A full visual marketing platform. One thing I do want to try is sharing a funnel. You can actually share a funnel with someone and it will be pre-loaded into your account. When you actually first register to ClickFunnels, your account has about 5 defaults funnels to use right away. Downtime: Once and a while there is downtime. It affects recent changes, custom domain issues, load times, and even live editor changes. Limited Visits: If you are sending traffic via pop, you are definitely wasting your visits unless you upgrade. You should send some traffic to it to test your pages and if you are going to scale, go ahead and host it on your server. Editor Sync: The editor syncs takes 1 minute once you save which isn’t the bad part. There are times when it doesn’t update at all. You will see that it is updated on ClickFunnels, but when you directly go to the link, it doesn’t update it. Facebook Newbie: If you are experienced, Facebook groups with basic marketers does get annoying. While there are a good solid amount of good marketers, there is a lot out there that doesn’t have any idea what they are doing. Support is only 9-5 M-F: I am overseas and so I get my support tickets answered in 24 hours just because I am 12 hours ahead. I rarely go through support just because the community is solid. all these weren’t a deal breaker, I still have my account. Now I haven’t used all the similar landing page platforms such as UnBounce or LeadPages because most of my pages are designed and coded by my team. I have used OptimizePress as a membership platform. It is very usable, but it is dependent on WordPress and your own servers. 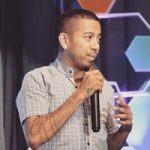 There is one interview about how one person went and tested everything from Kajabi, OptimizePress, LeadPages, WebinarJam etc. and never wanted to deal with landing page softwares again. He bought into the hype and now utilizes Clickfunnels for all his products. ClickFunnels is hosted on AWS, which is the most reliable servers out there. The way the platform works is pretty easy: You choose your goal, capture lead, sell a product, or host a webinar. From there it auto generates the best funnel for you, which is from Russell Brunson himself. Pre-loading the funnel in the back-end and putting it on AWS. Then you go to editor and edit. That is it. Simple! Everything is point and click. It does take some time to get used to as you are always discovering new options you can do with buttons or text. I’m always adding new items and sections to my landing pages while discovering new attributes ClickFunnels can do. The benefits of ClickFunnels platform is that you can quickly launch a stunning page in a day. No need to wait for a designer and your developer. Everything in the background works, you just have to provide the content and creatives. Now there are a lot of items I have not yet utilized but for my needs, it has been an amazing platform that has been really easy to use. Functionality-wise, it beats out the other landing page creators out there. I say landing page creators because essentially that’s what ClickFunnels is. Yes, it helps with the flow of the lead but in the end you’re editing your page. That’s it from me! Enjoy! Russel Brunson wants you to try it for free. I am currently using it, though it has hiccups it definitely is a platform to be used for your landing page creations at the very most. Clickfunnels has a lot of strong points when it comes to making sure your leads are converting. From landing page designs to creating a nice flow for the end user. It is a platform all marketers should be utilizing when it comes to generating online revenue.